The T56A combines the professional hardware and software technology to deliver crystal clear voice communications. 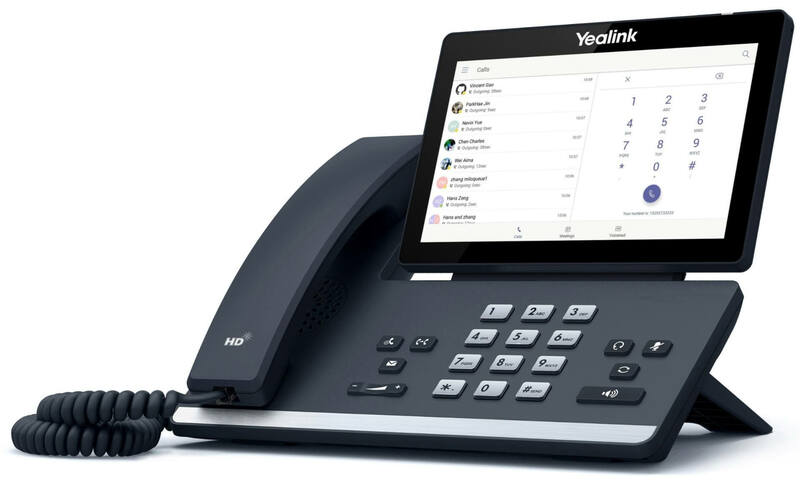 Thanks to Yealink Optima HD voice, and the hardwares of full-duplex hands-free speakerphone with AEC and HAC handset, T56A delivers excellent audio experience in an open workspace. To extend a seamless workflow on the desktop device, T56A offer a seven-inch 1024x600 capacitive touch screen, Teams-tailored interface, and supports key calling functionality. T56A makes it easier than ever to collaborate with partners while reducing learning costs and increasing the user adoption rate. The Yealink T56A is coupled with Yealink efficient auto-provisioning mechanism, including phone deployment and configuration. Administrators can take advantage of centralized deployment, management and updating. Moreover, T56A supports several device management platforms, including Microsoft/Yealink/Unify Square Device Management Platform.